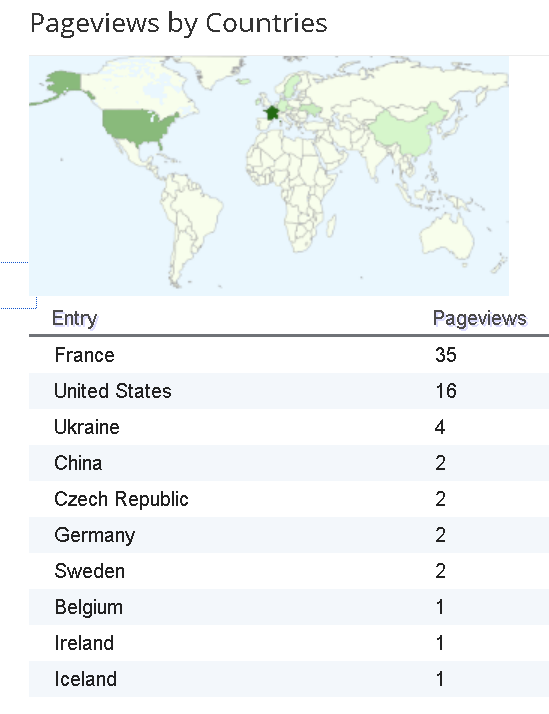 Update, for the first time in history, one of my posts is getting more hits from a single foreign country than from USA. Looks like Europe is really on edge over this Ukraine nuke plant with conflicting stories. Check out this chart of current visitors. And Michaël Van Broekhoven has been doing some top notch reporting, exposing truth. In the past we had to expose lies, now that spin is in, lies are everywhere and exposing truth is a skill. Reading the thing not stated. And Majia is a steadfast writer of great skill, she has 2 books out of which I have both, I recommend you buy them. Sheesh if only we could get William Banzai fully onto the anti nuke cause, at least ZeroHedge itself is pounding away. As some of the big news agencies start to catch on to the glaring inconsistencies in official statements at the biggest nuclear plant in Europe, it become more curious by the day. We know the game plan of the nuclear / radiation cartel is always to coverup, then deny, then minimize. 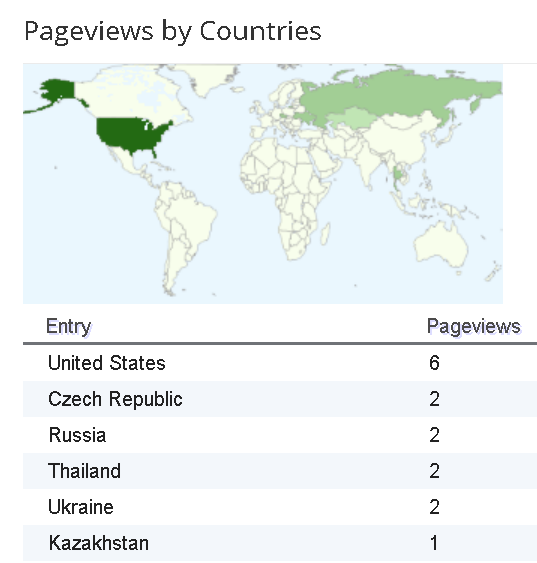 Czech, Russia, Ukraine, Kazakhstan.......looks like the cat is getting out of the bag and people are searching for information. While the Cesium-134 from the accident will disappear within a few years, Cesium-137 can linger for years. Thus, the scientists predict the Cesium-137 levels off the North American coast will not return to the levels seen before the Fukushima accident until 2021." Anyone with half a brain understands that Cs134 has a half life of 2 years, so it doesn't disappear within a "few years", at 10 years it is reduced to 3% of source term. And then to state that Cs137 can "linger for years" is just insultingly stupid. Cs137 has a half life of 30 years. In 60 years it would be 25% of the initial amount (aka source term). So if it went up 500%, and then dropped to 25% of that (in 60 years) that would be a 125% increase, so effectively in 60 years, it is still more than double the original background. But they are saying it will go back to background levels in 7 years, WTF are they talking about? And then they state that the Fuku fallout is well below levels seen from nuclear bomb testing, when obviously it is much higher. If the bomb test residuals are now at a level a 1 Bq/m3, and roughly a little more than 1 full half life has passed, then initial background from bombs was roughly 2.2, but they say Fuku will reach 5 in a few years. How the hell is that "well below"
Off subject....Can anyone tell me what is leaking out of Hanford ? I did a post that has some links, if you can summarize the leakage elements that would be great, I will post in an article. (New: Jan 11, 2015) Latvian Nov. 28 Spikes Revisited: Nullschool Data Shows Perfect Correlation with ZNPP Wind Path! Acid Ocean Wherein Lies the Truth?